The Harvey Weinstein story had "this really bizarre quality" of being "half an open secret and half this hidden thing that people were terrified to talk about," Jodi Kantor says. "That's also what made it tantalizing. That's also what made it seem really important to break." Kantor and her colleague Megan Twohey broke it on October 5 in The New York Times. 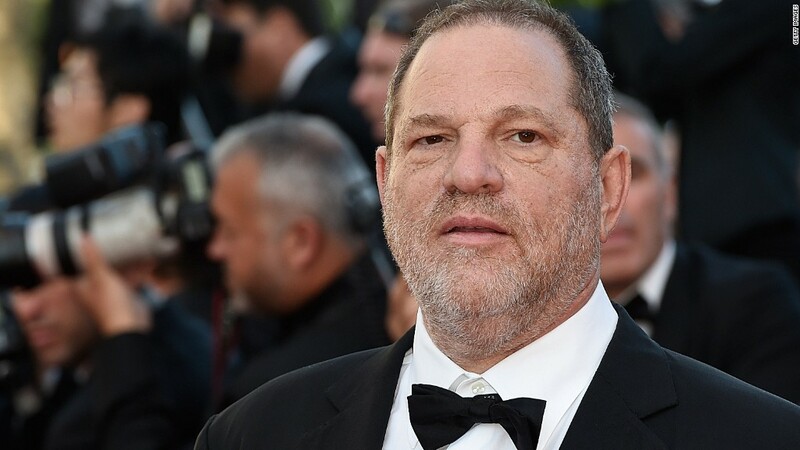 Weinstein was fired from the movie studio he co-founded, and police in New York and London are now looking into the sexual misconduct allegations against him. But the story isn't over. The full extent of the alleged abuse "may not be fully uncovered yet," Kantor said in an interview with CNN's Brian Stelter at The Times headquarters. Then Kantor headed straight back to her desk in the newsroom to continue her reporting. Kantor and Twohey spent many months investigating allegations of Weinstein's sexual harassment. All throughout their reporting, Kantor wondered about how the exposé would be received. With allegations dating as far back as the 1990s, would readers shrug off the story, thinking "Hey, this happened so long ago?" What Kantor and Twohey found was a 30-year-long pattern of behavior, with some incidents as recent as 2015, and company documents illustrating awareness of the allegations. At that point, "the moral gravity of the story shifted," Kantor told Stelter. "How could woman after woman tell the same story for 30 years and basically nothing happened and nothing changed?" she asked. As a movie producer, Weinstein shaped pop culture by turning out blockbusters such as Pulp Fiction," "Good Will Hunting," and "Shakespeare in Love." He could make or break careers. Around young women, he allegedly took advantage of that power. At the same time Twohey and Kantor were pursuing the subject for the paper, a separate bombshell story was in the works by Ronan Farrow. He was originally doing his reporting for NBC News. Kantor said she had a "dim awareness" of what he was working on. Farrow eventually took his reporting to The New Yorker when NBC declined to run his story. It came out five days after the Times' report. The two investigations barely overlap -- a sign that the issue is larger than any one investigation. "The number of women who have been in both of our stories, the number of situations that we both reported on is very small," Kantor told Stelter. "I'm sorry to say this, in a way, that there appear to be more than enough allegations to go around." Chaos inside scandal-wracked Weinstein Co.
Kantor said the reporting "felt like climbing Mt. Everest" at one point, because she knew that prominent journalists had tried to pursue Weinstein in the past, but were challenged by sourcing difficulties, legal threats and other factors. She named David Carr and Ken Auletta as two journalists who had tried. "I felt the weight and the pressure of writing for history," she said. "I felt the weight and pressure of trying to do something that other journalists had tried so hard to do. I was worried about not doing justice to the material. I was worried about not being able to tell the story." A contributing factor to Kantor's and Twohey's success in reporting the story was their gender, she told Stelter: "There are sources who said that they spoke to us because we were the first female reporters who ever approached them." "We're also writing in a different era," Kantor said. Weinstein's power over Hollywood is waning, and it's "a different period gender-wise," she said. "Thankfully, we seem to be at a place in society where a woman can come forward with more confidence," without fear of being slimed, she added. The Times' commitment to reporting on other sexual harassment cases -- from the exposé on Bill O'Reilly by Emily Steel and Michael Schmidt, to Katie Benner's work on the harassment female entrepreneurs face in Silicon Valley -- helped Kantor and Twohey build trust with their sources. What Kantor often told sources to convince them to speak on the record is, "this is not just you coming forward to the world and telling your story. That part is very very important. But the burden is not all on you, we as reporters... want to build the strongest, most secure possible platform for telling the truth about what you experienced." They did so by doing what investigative reporters do best: hunt for documents. They used emails, internal documents from Miramax and the Weinstein Company, and legal records including information on the eight settlements Weinstein reached with his victims between 1990 and 2015. "Reporting protects women," Kantor said. Asked what she would say to her 11-year-old daughter about the Weinstein scandal, Kantor said she would tell her about "the magic of journalism." "You can start out with a hard question, a notebook and a pen, and hopefully a great institution like The Times behind you, and you really can confront somebody really powerful and ask the hard questions," she said. "The other thing I would want her to know is that the public actually does want to know the truth."